Speciman of the type used in the final battle of St Olaf during the vicious Battle of Stiklestad. 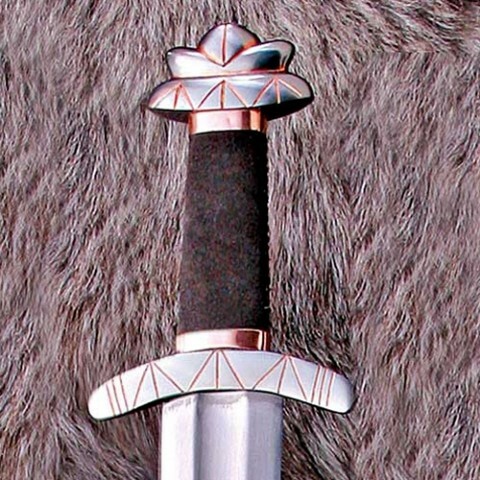 Beautifully balanced sword capable of highly effective cut and thrust during combat. Pommel and guard tastefully decorated with copper. Leather covered wood grip and fullered high carbon steel 79cm blade. Overall length 94cm. Weight 1.2kg. 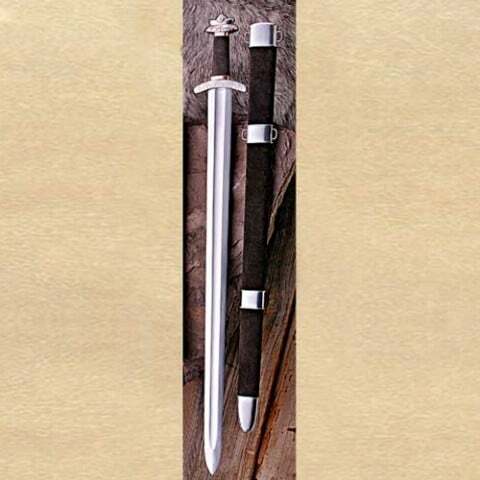 Comes with a striking scabbard. Can be professionally sharpened for an additional $20.